Use phpMyAdmin, which will usually be provided by your hosting provider. Use the create table fields which appear at the bottom of the phpMyAdmin home page, as shown below, and click on the Go button. You will then be able to set the type for each column. 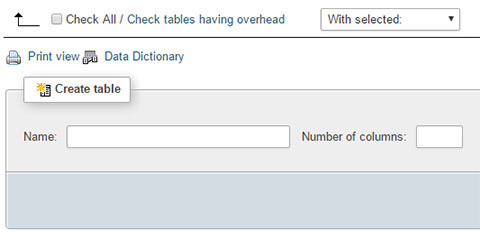 See new MySQL table column types example.